Nothing gets us more excited than sharing the inside scoop with you on the most innovative baby products around. Fresh off the heels of this year's JPMA Baby Show—the industry's biggest baby gear show of the year—we are super excited to let you in on all the products we're obsessing over for 2018. According to Kelly Mariotti, JPMA's executive director, this year's biggest trends feature products that encourage independence for babies, items that are convenient for parents, and transportation innovations. "Technology is more integrated in baby products than ever with advanced monitoring tools, car seat sensors and a lot more. It was an especially exciting year," Mariotti shares. So let's get to it! From sound machines that respond to baby's cries to strollers that fold with the simple click of a button, we're sharing the hottest baby products of 2018 we know you're going to love! 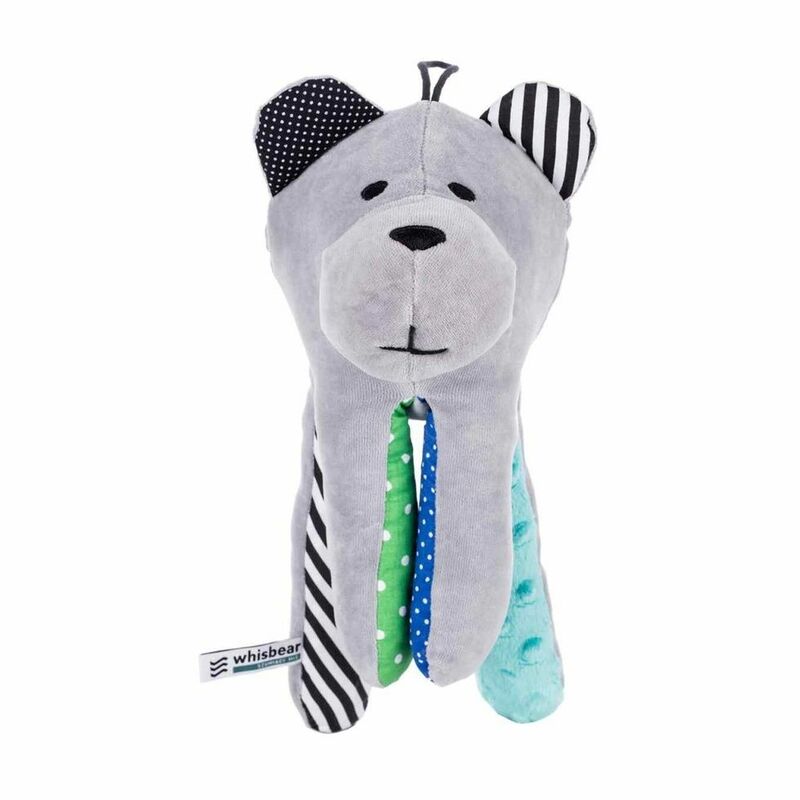 Magnets in the paws securely clip to the crib, keeping it safely out of baby's reach. But the best part? Cry sensor technology automatically switches the pink noise on at the sound of baby's cry, meaning you won't have to worry about the machine running all night or jumping out of bed every time you hear a whimper. Winning! A modern aesthetic + a baby product that grows with our little ones are two huge wins in our book—and this activity center scores big in both of those categories. 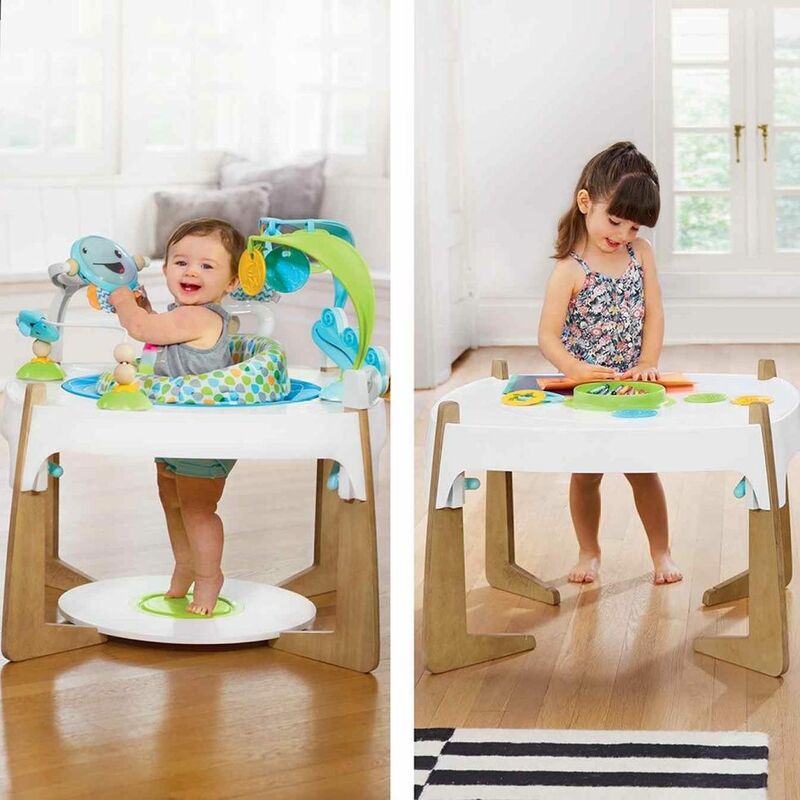 Featuring 20+ activities, the Gleeful Sea seamlessly transitions from an exersaucer to a cruising playtime table and finally to an art table, making it ideal for your ever-changing little one. And the wooden accents and sophisticated color palette means it won't stick out like a sore thumb in your family room, either. Your babe has outgrown the infant tub but is still way too squirmy for the adult tub—what's a mama to do? Enter this genius bath seat. With three sturdy arms for 360° of support, a high back rest, and a wide frame, it's perfect for helping secure baby while leaving you with two free hands to scrub and play. Suction cups beneath the base and fully adjustable side and back arms provide a secure (and easy) installation in almost any tub. Just remember to always keep a bathing baby within your reach! A 5-second swaddle that's easy to use, made from 100% organic cotton, and actually works? 🙌🏾🙌🏻🙌🏽 Designed by sleep expert and pediatrician extraordinaire Dr. Harvey Karp, this innovative swaddle is making all our baby burrito dreams come true. It's breathable, snug, super simple, and truly takes only 5 seconds to put on baby. (Trust us, we tried!) We couldn't love it more. Traveling with kids is no small feat, but this stroller is out to change that. It's pretty much everything we could ever dream about in a travel stroller: less than 12.3 lbs, compact design, ridiculously easy fold, suitable from birth to 45 lbs, and great maneuverability. It even fits in the overhead compartment on a plane! But best of all? When folded, a telescopic pull-along handle pops out, making it a breeze to pull through a busy airport, train station, or wherever life's adventures take you. Leave it to the French to make even the nursing pad beautiful. These are the ultimate nursing pad—designed from high performance fabrics, super absorbent, leakproof, antibacterial and anti-odor, and completely washable. They're also ergonomically designed to fit into any bra and provide a natural breast shape. Oui oui, please! We love when tech is used in a smart way—and we can't think of a better use for it than keeping your little one safe. The Sirona M is the only smartphone-synched convertible car seat on the market that uses safety technology in the chest clip to alert users when an unsafe condition arises. This includes when the driver has accidentally left the child behind, when a child has unbuckled himself while the vehicle is in motion, or when a car becomes to hot or too cold. TOTALLY. BRILLIANT. Nanit set out to "reinvent" the baby monitor, and we think they hit a home run. This ultra sleek, ultra smart baby monitor uses computer vision technology to measure baby's sleeping habits as well as their parent or caregiver's visit patterns, then sends personalized sleep tips based on real observations made by the camera's algorithms. Trying to regulate the temperature in your little one's room can be stressful for any new parent. 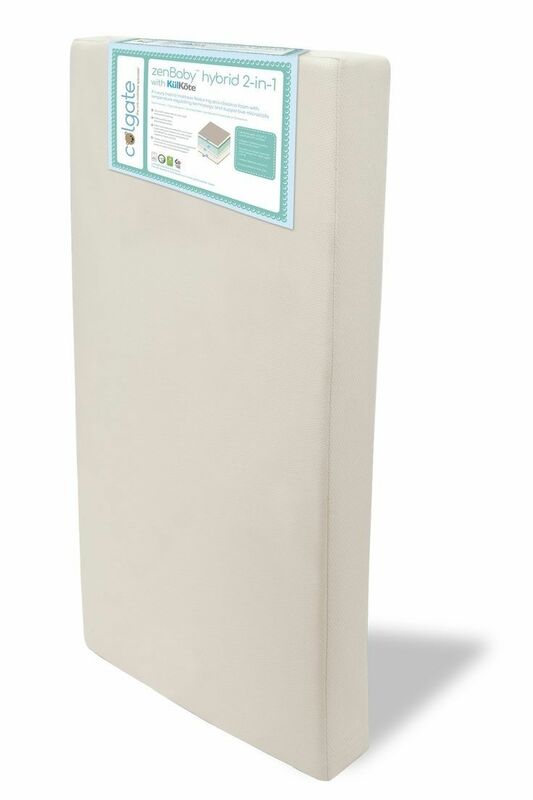 Worry a little less with this breathable, supportive crib mattress that uses brand new technology to keep baby cool + comfortable throughout the night. This dual-firmness, infant-to-toddler mattress is made from eco foam and wrapped in a soft, organic cotton knit cover to ensure both you and baby can rest easy.